Well, you went and did it. You decided to do this “Dry January” thing and you told people you were doing it so now if you don’t follow through you’re the jerk who couldn’t handle one stupid month without booze. But you’re getting really tired of pretending the sparkling water with a lime wedge is actually a cocktail. Your palate is bored. What to do? We’ve got some mocktails for ya. 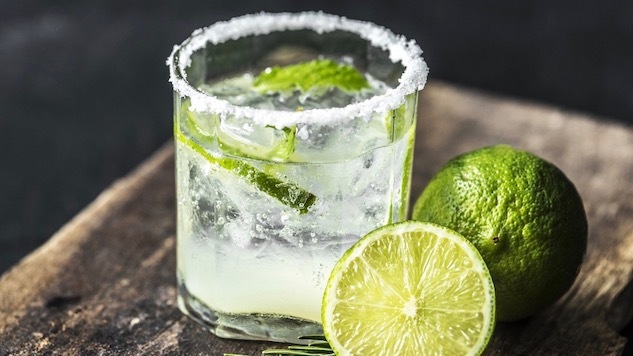 Stirrings, a line of calorie-conscious craft cocktail mixers (say that five times fast), combines ease of delivery with reasonable ingredients (juice, cane sugar, herbs-the low-calorie designated ones contain sucralose) for a low-hanging-fruit festive option whether you’re mixing it with spirits or not. I mean, let’s face it, drinking too much is often a crime of opportunity, so having an option where most of the work has been done for you can only help in your crusade to save your liver, your waistline, or your relationship. A bottle makes 8 cocktails, or Mocktails, so you can batch these and persuade friends to join you on the wagon…or just have them to yourself while you watch everyone and wonder if you are as ridiculous as that are when you’ve had a few. Directions: In a pitcher, stir together Stirrings Simple Watermelon Martini Mix, fresh lemon juice, and sugar until the sugar is dissolved. Top with Club Soda and stir to combine. If you prefer the fully-leaded version, try cava or prosecco in place of the club soda. Apples and ginger are fabulous friends and ginger has a warming quality that’s especially nice on a cold, damp day. Directions: In a glass filled with ice, add apple martini mixer first than top off the glass with ginger ale. Stir well with spoon or straw. Garnish with thin apple slices. For the adult version, consider a shot of Captain Morgan’s or your rum of choice. Directions: Rub the rim of a martini glass with a lime wedge. Dip the rim of the glass into the Margarita Rimmer. Pour cocktail mix and soda into the prepared glass filled with ice and stir. Garnish with lime wedge.